Not long after announcing its first tour in years, Flight Of The Conchords is feeling the pressure, inner-city and otherwise, to expand on its 28-city trek across the U.S., that will also see a brief dip into Canada. The high demand for tickets to see New Zealand’s fourth most popular folk parody duo, which might bump the group up to number three on that list, has resulted in five additional dates on the Flight Of The Conchords Sing Flight Of The Conchords tour. 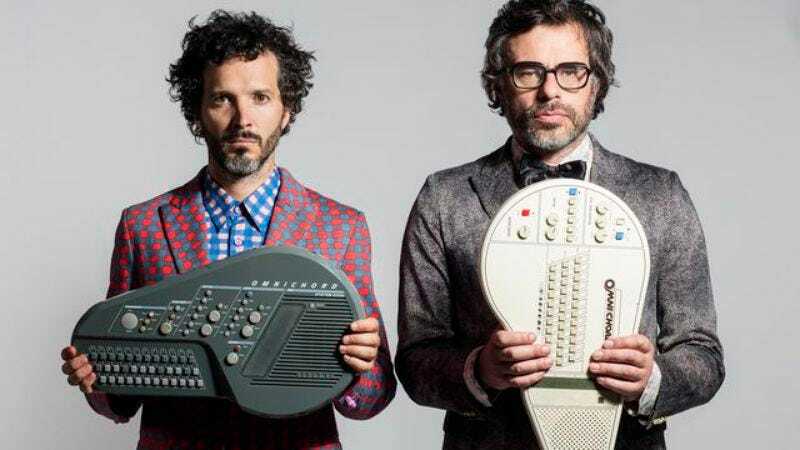 Conchords Jemaine Clement and Bret McKenzie have extended business hours in New York City, Portland, San Francisco, Austin, and Los Angeles, so FOTC fans in the Ozarks or Indiana, who are almost certainly not crying, will have to wait a little longer for a chance to see the duo. The complete list of tour dates is below, with the additions posted in bold.